Paradise Poker has once again scooped the pot for its owner, Sportingbet PLC. The stock market quoted company has revealed overall profits before tax for the second quarter ended 31st January 2006 of £27.0m, an increase over the same quarter in 2005 of 72%. 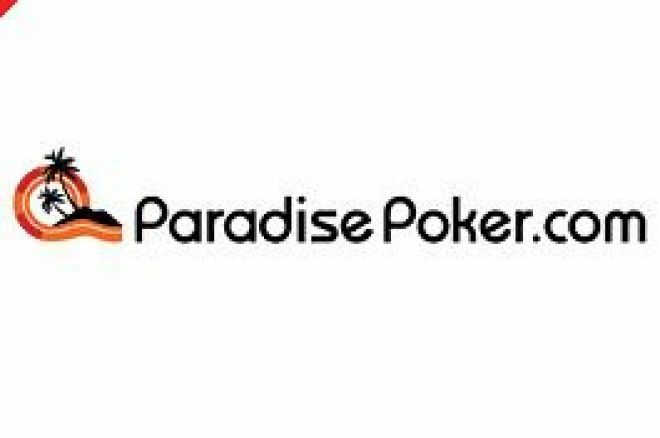 Paradise Poker's contribution can be measured by the fact that the average daily rake in the three months of November, December and January was up 107% to $541,782. The company also reported that there was considerable crossover playing between sportsbook customers and poker customers, resulting in additional revenues from existing customers on both sides of the divide. Adding the second quarter's performance to the first resulted in a half-year increase in overall profit before tax of 126%. This is slightly misleading as Paradise Poker had not been owned throughout the comparative first 6 months in last year's financial period. Including the pre-acquisition profits of Paradise Poker nonetheless showed a pro-forma increase in pre-tax profits of 74% for the first 6 months of the current year. Clearly, poker is still growing organically, and fast. Consolidation by acquisition of smaller players will no doubt be the driver in later periods but, for now, Sportingbet is benefiting from a continued surge in demand for poker and other gaming activities. "I am delighted to report a record performance for Sportingbet this quarter, a period in which the scale of the [Sportingbet] Group's operations has again increased significantly and a period in which the benefits of our shared purse strategy have started to deliver real returns. attrition have all remained consistent with last year. The stability of these indicators demonstrates the power of Sportingbet's multi-product, global offering and our ability to drive growth cost efficiently, without compromising the quality of customer attained. At the start of the third quarter this trend has continued, with growth remaining strong across all products." Sportingbet looks set to benefit from living in paradise for some time yet. How will UK Poker markets shape up in 2006?